Does UrbanCode Deploy manage containers? Yes, It does, Check out the below link to know more. Is UrbanCode Deploy available as service? How does IBM UrbanCode Deploy integrate with plugins? You can integrate IBM UrbanCode Deploy into your delivery pipeline and avoid re-architecting your toolchain with over 130 plugins for development, testing, infrastructure and cloud—such as the Jenkins Pipeline and VMware vRealize Automation plugins. How does this software handle complex application deployments? IBM UrbanCode Deploy allows you to create models of the deployment process with a graphical process editor, replacing manual steps and nonstandard scripts. No programming is required. You can create processes of any complexity, assign them to deployment environments and execute them more reliably. 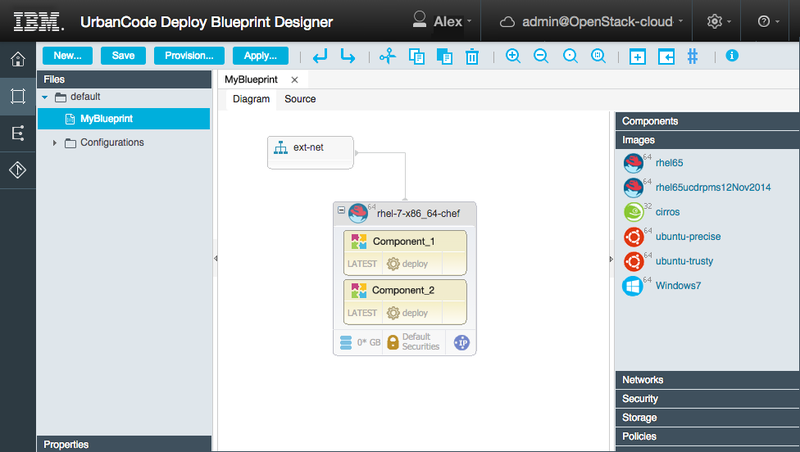 For provisioning cloud images and deploying applications, how does the Cloud Blueprint Designer work? You can deploy to any platform—mainframe, data center, cloud or virtualized environments. Deploy containers with control and visibility. Manage and participate in your deployment process from anywhere with the IBM UrbanCode mobile iOS app. What safeguards are in UrbanCode Deploy that help ensure quality? Yes, you can store different configuration settings for each target and enable configuration-only or traditional code-and-configuration deployments while reusing the same application process across multiple environments. Does UrbanCode Deploy run in a container? Yes, Click on the link to know more. Does IBM UrbanCode Deploy deploy applications natively to z/OS? A DevOps transformation includes bringing z/OS into the current century for development practices. Mobile applications make hundreds of millions of z Systems backend calls every day (for example, calls to COBOL and PL/1). The mainframe must be part of the modern development and operations practices. How do I discover, deploy and manage IBM WebSphere Application Server configurations? IBM UrbanCode Deploy detects IBM WebSphere Application Server automatically and creates corresponding resources on the server. You can import IBM WebSphere Application Server cell and cluster configurations, and generate a template that is stored and promoted across environments. How do I know who deployed what, where, when? IBM UrbanCode Deploy provides a customizable permission system for your users and a more secure transport of your deployment artifacts. You can track user activity (who, what and where) with control and audit capabilities that build a full history of an application deployment.